Outbreak of intercommunal clashes (1958). Constitutional breakdown between Greek Cypriots and Turkish Cypriots. Creation of United Nations Peacekeeping Force Cyprus in 1964. Greek Cypriots recognized as de jure possessor of Republic Of Cyprus. Turkish Cypriots founded "general committee" and announced that their rights in Republic of Cyprus are violated by Greek Cypriots. There was a period of political and violent conflict in Cyprus, also known as the Cyprus crisis and EOKA period, between the Greek Cypriots and Turkish Cypriots, between 1955 and 1964. In 1914, after the Ottoman Empire joined World War I on the side of the Central Powers, the island was annexed by the United Kingdom. Soon afterward, the UK offered the island to King Constantine I of Greece on condition that Greece join the war on the side of the British. Although the offer was supported by Greek Prime Minister Eleftherios Venizelos, it was rejected by the King, who wished to keep Greece out of the war. After the foundation of the Republic of Turkey in 1923, the new Turkish government formally recognized Britain's sovereignty over Cyprus. Greek Cypriots believed it was their natural and historic right to unite the island with Greece (enosis), as many of the Aegean and Ionian islands had done following the collapse of the Ottoman Empire. In 1931, riots broke out in Cyprus against the British administration. The British suppressed the riots, abolished the legislative council in Cyprus, and banned all political parties. At the end of the Second World War Britain rejected fresh demands for enosis, offering concessions on home rule, or self-government, instead. In August 1954 Greece, which had previously avoided involvement in Cyprus because of its alliance with the United Kingdom, unsuccessfully sought to have the question of Cyprus’s status brought before the United Nations General Assembly. In the subsequent UN discussions, Turkey announced that it opposed a union of Cyprus with Greece and declared that if Britain withdrew from the island, control of Cyprus should revert to Turkey, as Turks made up a significant portion of the population of the island and had ruled the island for several hundred years prior to leasing the island to the British and the subsequent British annexing of the island in 1914. Greek Cypriots felt that this position paid little respect to the right of self-determination of the Cypriot people. The repeated rejections by the British of Greek Cypriot demands for enosis prompted an armed underground campaign by a movement of Greek Cypriots known as the National Organization of Cypriot Struggle, or EOKA. EOKA, led by the Greek commander George Grivas, systematically targeted British colonial authorities. One of the effects of the EOKA campaign was to alter the Turkish position from demanding full reincorporation into Turkey to a demand for taksim (partition). The fact that the Turks were a minority was, according to Nihat Erim, to be addressed by the transfer of thousands of Turks from mainland Turkey so that the Greek Cypriots would cease to be the majority. When Erim visited Cyprus as the Turkish representative, he was advised by the then British Governor John Harding that Turkey should send educated Turks to settle in Cyprus. Turkey actively promoted the idea that on the island of Cyprus two distinctive communities existed, and sidestepped its former claim that “the people of Cyprus were all Turkish subjects”. In doing so, Turkey’s aim to have self-determination of two to-be equal communities in effect led to de jure partition of the island. This could be justified to the international community against the will of the majority Greek population of the island. Dr. Fazil Küçük in 1954 had already proposed Cyprus be divided in two at the 35° parallel. The British started conscripting Turkish Cypriots into the police force that patrolled Cyprus to fight the EOKA. EOKA targeted colonial authorities, including police, but Georgios Grivas, the leader of EOKA, did not initially wish to open up a new front by fighting Turkish Cypriots and reassured them that EOKA would not harm their people. In 1956, some Turkish Cypriot policemen were killed by EOKA members and this provoked some intercommunal violence in the spring and summer, but these attacks on policemen were not motivated by the fact that they were Turkish Cypriots. However, in January 1957, Grivas changed his policy as his forces in the mountains became increasingly pressured by the British forces. In order to divert the attention of the British forces, EOKA members started to target Turkish Cypriot policemen intentionally in the towns, so that Turkish Cypriots would riot against the Greek Cypriots and the security forces would have to be diverted to the towns to restore order. The killing of a Turkish Cypriot policeman on 19 January, when a power station was bombed, and the injury of three others, provoked three days of intercommunal violence in Nicosia. The two communities targeted each other in reprisals, at least one Greek Cypriot was killed and the army was deployed in the streets. Greek Cypriot stores were burned and their neighborhoods attacked. Following the events, the Greek Cypriot leadership spread the propaganda that the riots had merely been an act of Turkish Cypriot aggression. Such events created chaos and drove the communities apart both in Cyprus and in Turkey. On 22 October 1957 Sir Hugh Mackintosh Foot replaced Sir John Harding as the British Governor of Cyprus. Foot suggested five to seven years of self-government before any final decision. His plan rejected both enosis and taksim. The Turkish Cypriot response to this plan was a series of anti-British demonstrations in Nicosia on 27 and 28 January 1958 rejecting the proposed plan because the plan did not include partition. The British then withdrew the plan. By 1958 signs of dissatisfaction with the British increased on both sides, with Turkish Cypriots now forming Volkan, later known as the Turkish Resistance Organization paramilitary group to promote partition and the annexation of Cyprus to Turkey as dictated by the Menderes plan. On 27 January 1958 British soldiers opened fire against a crowd of Turkish Cypriot rioters. The events continued until the next day. In June 1958 the British Prime Minister Harold Macmillan was expected to propose a plan to resolve the Cyprus issue. In light of the new development the Turks rioted in Nicosia to promote the idea that Greek and Turkish Cypriots could not live together and therefore any plan that did not include partition would not be viable. This violence was soon followed by bombing, Greek Cypriot deaths and looting of Greek Cypriot-owned stores and houses. Greek and Turkish Cypriots started to flee mixed population villages where they were a minority in search of safety. This was effectively the beginning of segregation of the two communities. On 7 June 1958 a bomb exploded at the entrance of the Turkish Embassy in Cyprus. Following the bombing Turkish Cypriots looted Greek Cypriot properties. On June 26, 1984 the Turkish Cypriot leader, Rauf Denktaş, admitted on British channel ITV that the bomb was placed by the Turks themselves in order to create tension. On January 9, 1995 Rauf Denktaş repeated his claim to the famous Turkish newspaper Milliyet in Turkey. The crisis reached a climax on June 12, 1958 when eight Greeks, out of an armed group of thirty five arrested by soldiers of the Royal Horse Guards on suspicion of preparing an attack on the Turkish quarter of Skylloura, were killed in a suspected attack by Turkish Cypriot locals, near the village of Geunyeli having being ordered to walk back to their village of Kondemnos. Right after the EOKA campaign began the British government successfully began to turn the Cyprus issue from a British colonial problem into a Greek-Turkish issue. British diplomacy exerted back-stage influence on the Adnan Menderes government, with the aim of making Turkey active in Cyprus. For the British the attempt had a twofold objective. On one hand the EOKA campaign would be silenced as quickly as possible, on the other hand Turkish Cypriots would not side with Greek Cypriots against the British colonial claims over the island and the island would remain under the British. The Turkish Cypriot leadership at the time, visited Menderes to discuss the Cyprus issue. When asked how the Turkish Cypriots should respond to the Greek Cypriot claim of enosis Menderes replied: "You should go to the British foreign minister and request the status quo be prolonged, Cyprus to remain as a British colony.” Later when the Turkish Cypriots visited the British minister of foreign affairs and requested that Cyprus remain a colony, the Minister replied: "You should not be asking for colonialism at this day and age, you should be asking for Cyprus be returned to Turkey, its former owner". As Turkish Cypriots began to look to Turkey for protection, it soon became apparent to Greek Cypriots that enosis was extremely unlikely. Greek Cypriot leader Archbishop Makarios III now set independence for the island as his objective. Britain resolved to solve the dispute by creating an independent Cypriot state. In 1959 all involved parties signed the Zurich agreements: Britain, Turkey, Greece, and the Greek and Turkish Cypriot leaders, Makarios and Dr. Fazil Kucuk respectively. The new constitution drew heavily on the ethnic composition of the island. The President would be a Greek Cypriot and the Vice-President a Turkish Cypriot with an equal veto. The contribution to the public service would be set at a ratio of 70:30, and the Supreme Court would consist of an equal number of judges from both communities plus an independent judge who was not Greek, Turkish or British. The Zurich accords were supplemented by a number of treaties. The Treaty of Guarantee stated that secession or union with any state was forbidden, and that Greece, Turkey and Britain would be given guarantor status to intervene should this be violated. The Treaty of Alliance allowed for two small Greek and Turkish military contingents to be stationed on the island whilst the Treaty of Establishment gave Britain sovereignty over two bases in Akrotiri and Dhekelia. On August 15, 1960, the Republic of Cyprus was proclaimed. The new constitution brought dissatisfaction to Greek Cypriots that felt that it was highly unjust for them, for historical, demographic and contributional reasons. While 80% of the island were Greek Cypriots and Greek Cypriots were the vast majority and indigenous people of the island for thousands of years, plus contributing to 94% percent of the taxes, the new constitution was giving the 17% of Turkish Cypriots, with a 6% contribution to the taxes, 30% of the government jobs and 40% of the national security jobs. Within three years tensions between the two communities in administrative affairs began to show. In particular disputes over separate municipalities and taxation created a deadlock in government. A constitutional court ruled in 1963 Makarios had failed to uphold article 173 of the constitution which called for the establishment of separate municipalities for Turkish Cypriots. Makarios subsequently declared his intention to ignore the judgement, resulting in the West German judge resigning from his position. Makarios proposed thirteen amendments to the constitution, which according to the historian Keith Kyle had the effect of resolving most of the issues in the Greek Cypriot favour. 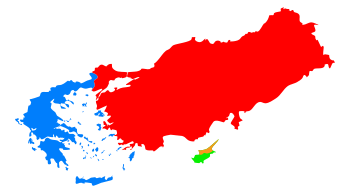 Under the proposals, the President and Vice President would lose their veto, the separate municipalities as sought after by the Turkish Cypriots would be abandoned, the need for separate majorities by both communities in passing legislation would be discarded and the civil service contribution would be set at actual population ratios (82:18) instead of the slightly higher figure for Turkish Cypriots. The intention behind the amendments has long been called into question. 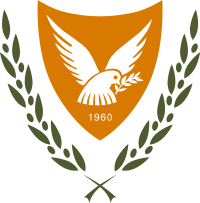 The Akritas plan, written in the height of the constitutional dispute by the Greek Cypriot interior minister Policarpos Yorgadjis, called for the removal of undesirable elements of the constitution so as to allow power-sharing to work. 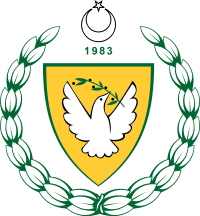 The plan stipulated an organised attack on Turkish Cypriots should they show signs of resistance to the measures, stating “In the event of a planned or staged Turkish attack, it is imperative to overcome it by force in the shortest possible time, because if we succeed in gaining command of the situation (in one or two days), no outside, intervention would be either justified or possible.” Whether Makarios's proposals were part of the Akritas plan is unclear, however it remains that sentiment towards enosis had not completely disappeared with independence. Makarios described independence as "a step on the road to enosis". Preparations for conflict were not entirely absent from Turkish Cypriots either, with right wing elements still believing taksim (partition) the best safeguard against enosis. Greek Cypriots however believe the amendments were a necessity stemming from a perceived attempt by Turkish Cypriots to frustrate the working of government. Turkish Cypriots saw it as a means to reduce their status within the state from one of co-founder to that of minority, seeing it as a first step towards enosis. The security situation deteriorated rapidly. An armed conflict was triggered on December 21, 1963 which is known as Bloody Christmas. Eric Solsten described the events as "a Greek Cypriot police patrol, ostensibly checking identification documents, stopped a Turkish Cypriot couple on the edge of the Turkish quarter. A hostile crowd gathered, shots were fired, and two Turkish Cypriots were killed." On 21 December 1963, armed Turkish Cypriots from TMT clashed with Greek Cypriots loyal to Yorgadjis. Heavily armed Greek Cypriots along with the extensive might of paramilitaries of Grivas launched an attack for discovering these weapons on Turkish Cypriots in Nicosia and Larnaca. Immediately after this, the small resistance of Turkish Cypriots took positions in areas which were within the Turkish quarter of Nicosia and started action. 103 Turkish Cypriots villages were attacked. 700 Turkish Cypriot hostages, including women and children, were taken from the northern suburbs of Nicosia (into Greek-Cypriot houses, at Omorphita north suburb, which in turn became refugees in their own country). Nikos Sampson driving a digging vehicle himself, led a group of Greek Cypriot irregulars into the mixed suburb of Omorphita after the Greek Cypriot neighbourhood of the suburb was attacked by the Turkish Cypriot militia. Greek historian Ronaldos Katsaunis stated that he was an eye witness to the retaliation murder and communal burial of 32 Turkish Cypriot civilians in 1963 in Famagusta. Contemporaneous newspapers also reported about the forceful exodus of the Turkish Cypriots from their homes. According to the Times journal issued in 1964, threats, shootings and attempts of arson are committed against the Turkish Cypriots to force them out of their homes. The Daily Express wrote that "25,000 Turks have already been forced to leave their homes". The Guardian reported a massacre of Turks at Limassol on 16 February 1964. Pierre Oberling noted that according to official sources, the 1963-64 crisis resulted in the death of 364 Turkish Cypriots and 174 Greek Cypriots. Turkey had by now readied its fleet and its fighter jets became visible over Nicosia. Turkey was dissuaded from direct involvement by the creation of a United Nations Peacekeeping Force in Cyprus (UNFICYP) in 1964. Despite the negotiated ceasefire in Nicosia, attacks on the Turkish Cypriot persisted, particularly in Limmasol. Concerned about the possibility of a Turkish invasion, Makarios undertook the creation of a Greek Cypriot conscript-based army called the “National Guard”. A general from Greece took charge of the army, whilst a further 20,000 well-equipped officers and men were smuggled from Greece into Cyprus. Turkey threatened to intervene once more, but was prevented by a strongly worded letter from the American President Lyndon B. Johnson, anxious to avoid a conflict between NATO allies Greece and Turkey at the height of the Cold War. Turkish Cypriots had by now established an important bridgehead at Kokkina, provided with arms, volunteers and materials from Turkey and abroad. Seeing this incursion of foreign weapons and troops as a major threat, the Cypriot government invited George Grivas to return from Greece as commander of the Greek troops on the island and launch a major attack on the bridgehead. Turkey retaliated by dispatching its fighter jets to bomb Greek positions, causing Makarios to threaten an attack on every Turkish Cypriot village on the island if the bombings did not cease. The conflict had now drawn in Greece and Turkey, with both countries amassing troops on their Thracian borders. Efforts at mediation by Dean Acheson, a former U.S. Secretary of State, and UN-appointed mediator Galo Plaza had failed, all the while the division of the two communities becoming more apparent. Greek Cypriot forces were estimated at some 30,000, including the National Guard and the large contingent from Greece. Defending the Turkish Cypriot enclaves was a force of approximately 5,000 irregulars, led by a Turkish colonel, but lacking the equipment and organization of the Greek forces. UNFICYP carried out a detailed survey of all damage to properties throughout the island during the disturbances; it shows that in 109 villages, most of them Turkish-Cypriot or mixed villages, 527 houses have been destroyed while 2,000 others have suffered damage from looting. The situation worsened in 1967, when a military junta overthrew the democratically-elected government of Greece, and began applying pressure on Makarios to achieve enosis. Makarios, not wishing to become part of a military dictatorship or trigger a Turkish invasion, began to distance himself from the goal of enosis. This caused tensions with the junta in Greece as well as George Grivas in Cyprus. Grivas's control over the National Guard and Greek contingent was seen as a threat to Makarios's position, who now feared a possible coup. Grivas escalated the conflict when his armed units began patrolling the Turkish Cypriot enclaves of Ayios Theodhoros and Kophinou, and on November 15 engaged in heavy fighting with the Turkish Cypriots. By the time of his withdrawal 26 Turkish Cypriots had been killed. Turkey replied with an ultimatum demanding that Grivas be removed from the island, that the troops smuggled from Greece in excess of the limits of the Treaty of Alliance be removed, and that the economic blockades on the Turkish Cypriot enclaves be lifted. Grivas resigned his position and 12,000 Greek troops were withdrawn. Makarios now attempted to consolidate his position by reducing the number of National Guard troops, and by creating a paramilitary force loyal to Cypriot independence. In 1968, acknowledging that enosis was now all but impossible, Makarios stated, "A solution by necessity must be sought within the limits of what is feasible which does not always coincide with the limits of what is desirable." After 1967 tensions between the Greek and Turkish Cypriots subsided. Instead, the main source of tension on the island came from factions within the Greek Cypriot community. Although Makarios had effectively abandoned enosis in favour of an ‘attainable solution’, many others continued to believe that the only legitimate political aspiration for Greek Cypriots was union with Greece. Makarios was branded a traitor to the cause by Grivas and, in 1971, he made a clandestine return to the island. On his arrival, Grivas began by establishing a nationalist paramilitary group known as the National Organization of Cypriot Fighters (Ethniki Organosis Kyprion Agoniston B or EOKA-B), drawing comparisons with the EOKA struggle for enosis under the British colonial administration of the 1950s. The military junta in Athens saw Makarios as an obstacle, and directed funds to Grivas to carry out a number of attacks and to fund a propaganda campaign through the creation of pro-enosis newspapers. Makarios's failure to disband the National Guard, whose officer class was dominated by mainland Greeks, had meant the junta had practical control over the Cypriot military establishment, leaving Makarios isolated and a vulnerable target. 1 2 3 Pierre Oberling (1982). The road to Bellapais: the Turkish Cypriot exodus to northern Cyprus. Social Science Monographs. p. 120. ↑ Rebecca Bryant; Yiannis Papadakis (15 August 2012). Cyprus and the Politics of Memory: History, Community and Conflict. I.B.Tauris. pp. 207–. ISBN 978-1-78076-107-7. 1 2 3 "Cyprus," Microsoft Encarta Online Encyclopedia 2007. Archived 2009-10-31. ↑ Dr. Fazil Küçük, 1957. The Cyprus Question: A permanent solution. 1 2 French, David (2015). Fighting EOKA: The British Counter-Insurgency Campaign on Cyprus, 1955-1959. Oxford University Press. pp. 258–9. ISBN 9780191045592. ↑ "Denktaş'tan şok açıklama" (in Turkish). Milliyet. 9 January 1995. ↑ The Outbreak of Communal Strife, 1958 Archived January 11, 2016, at the Wayback Machine. The Guardian, London. ↑ Anthony Eden, 2005. Memoirs, Full Circle, Cassell, London 1960, p.400. ↑ Stephen, Michael (1987). "Cyprus: Two Nations in One Island". Archived from the original (TXT) on 31 December 2007. Retrieved 9 April 2013. ↑ Ali Carkoglu (1 April 2003). Turkey and the European Union: Domestic Politics, Economic Integration and International Dynamics. Taylor & Francis. p. 67. ISBN 978-0-7146-8335-5. Retrieved 17 August 2012. ↑ Salomon Ruysdael (1 September 2002). New Trends in Turkish Foreign Affairs: Bridges and Boundaries. iUniverse. pp. 299–. ISBN 978-0-595-24494-2. Retrieved 17 August 2012. ↑ John Terence O'Neill; Nicholas Rees (2005). United Nations Peacekeeping in the Post-Cold War Era. Taylor & Francis. p. 81. ISBN 978-0-7146-8489-5. ↑ Michael Stephen (1997). The Cyprus Question. British-Northern Cyprus Parliamentary Group. p. 15. Cyprus-Conflict.net An independent and comprehensive website dedicated to the Cyprus conflict, containing a detailed narrative as well as documents, reports and eye-witness accounts. Library of Congress Cyprus Country Study Detailed information on Cyprus, covering the various phases of the Cyprus conflict.